Learn to Take Care of Newborn Baby For Young Couples - The presence of a baby is not only exhausting and emotional, but it also raises concerns. Many parents, especially new ones have children, are confused in caring for newborns. 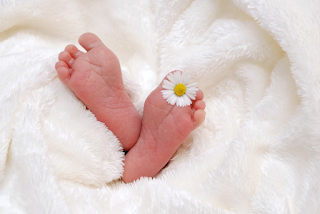 New parents must have made preparations to welcome their first child's presence in advance, but still you need a big adjustment because your new role is now as a parent. Caring for a newborn is synonymous with fatigue during the day. Not infrequently, many parents are overwhelmed by excess pressure. Especially if you have a first child. For that, the very first thing new parents need to pay attention to is how we manage the pressure. Some of these things you can apply to manage the pressure when you care for newborns. Maintaining a newborn is synonymous with lack of sleep, it is advisable to avoid consuming foods and beverages containing caffeine or other food-drowsy foods. For bedtime, it is advisable to sleep in unison at bedtime your baby. Setting bedtime with your partner can also be a way out to overcome this problem. Do not be afraid if you can not take care of your baby well. If this happens then it's good to talk about this issue. In addition, laughing cheerfully with the baby and also your partner can reduce your fears. Do not be too push yourself to keep things that usually done before the birth of your baby. Cleaning the house and washing clothes can be delayed so as not too tired when caring for newborns. You can also save energy by reducing activities that usually take a long time, like cooking. If before your little one is accustomed to preparing a perfect dinner, then now enough to serve food that is easily processed. Of course, that does not mean you put aside the nutritional value in it. Do not hesitate to go outdoors just to breathe fresh air. Sometimes a baby who is fussy while in the house will cheer up again when in invited out the house just for a walk. Having a baby also means limiting relationships with your friends and family for a while but do not refuse when they want to hold babies or other activities that can save your energy. Remember, your child's childhood will not happen twice. Therefore, enjoy those troublesome times. Even so, you must still know your own limits. If indeed the pressure is already very heavy, ask for help from the experts. It is a hand hygiene when it comes to holding or carrying a newborn baby. It is recommended to wash hands before making contact with the baby to avoid spreading disease by hand. Be careful in raising a newborn baby, pay attention to your baby's head and neck. Bathe baby by using shampoo and soap that is made for baby skin. in addition, you can also use a washcloth, soft towels, and a baby bathtub. The most important thing for a newborn is often changing diapers. You might change diapers up to 10 times a day. use cloth diapers until the baby's umbilical cord is loose. To defecate, newborns will do the first time after one or two days after birth. The good newborn dung is a black meconium. Meconium itself consists of mucus, amniotic fluid, and everything that the baby has while in the mother's fetus. Giving milk to newborns may be very frequent. Newborns should be given milk between 8-15 times a day. this happens because their abdominal capacity is very small. In the process of breastfeeding, try to do it in alternate position so that the mother feels comfortable. Do this as often as possible without waiting for the baby to cry. when crying, the baby will be more difficult to swallow the milk because the tongue is not in the right position to visit the liquid.